Well, I moved into my new apartment a week ago today and despite my best efforts, still have no internet. So, thought I would try a little post from my phone instead. I had hoped to share two recipes with you by now... Things I made recently in Ireland...hang on til the weekend and I'll be bringing them your way! Thanks for stopping by - if this posting from the phone trick goes well, I'll be pleased! 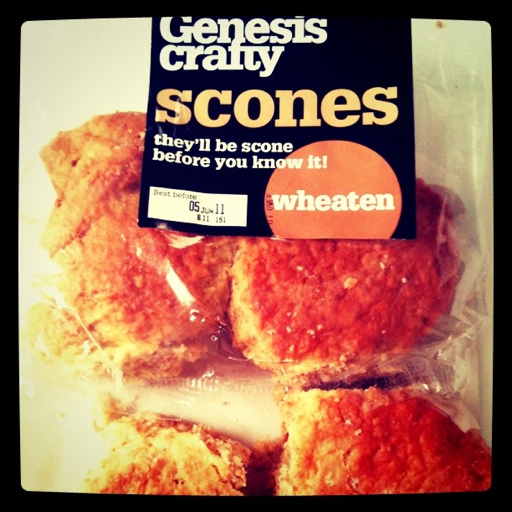 I'm leaving you with an iPhone photo of my favorite scones - Genesis Crafty. Brought home a pack of these babies with me and they were gone quickly!